We talk a lot about the concept of “candidate experience,” and rightfully so. It’s one of the most essential topics in resourcing today. The thing we so often forget, though, is that the experience of every candidate, even when the position and process are the exact same, will differ dramatically. No matter how good we think the experience to which we subject our candidates might be, the fact remains, experience is inherently subjective. And there’s no silver bullet, no singular strategy or solution, that creates a great experience for every candidate, every time. 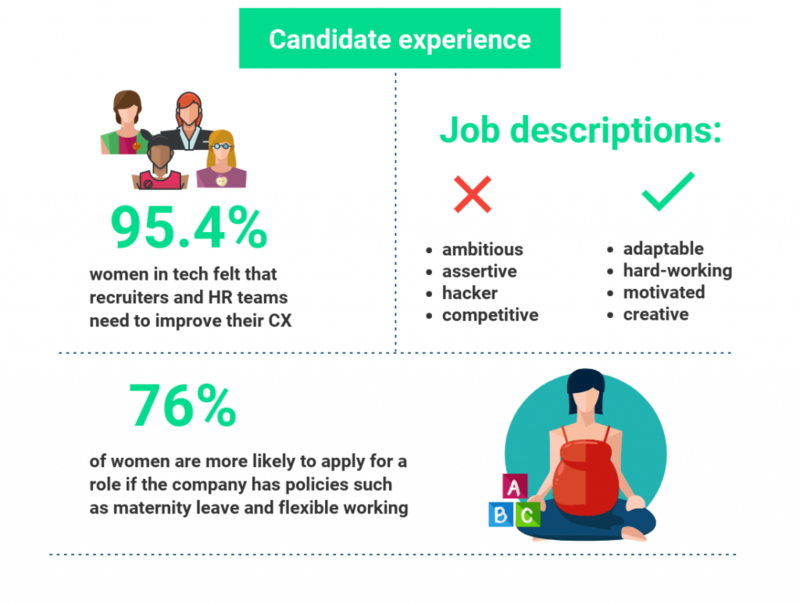 What Women Want: The Candidate Experience and Gender Diversity. Whilst we often put an emphasis on inclusive hiring, creating a truly diverse workforce means creating truly diverse experiences that best align with the expectations and considerations of the candidates we’re trying to attract. And the truth of the matter is, women care a lot more than men about how, exactly, companies treat their employees, and this can play a significant factor not only in the relative importance of candidate experience for women, but also, whether or not they choose to become a candidate at all. A recent study found that women are fully 25% more likely than men to visit employer review sites when doing their due diligence on a perspective employer, and a third less likely than their male counterparts to apply at companies whose reviews rank in the bottom 20% (equivalent to one star, using Glassdoor’s ratings scale). If recruitment is indeed retention, then consider that women were 15% more likely to resign for reasons related to poor treatment by an employer towards their clients, candidates and colleagues. Further, while women generate an average of 26% fewer employee referrals than men in general, those referrals ultimately account for approximately the same number of overall hires as those referrals from male employees. Given the fact that existing employees and referrals represent fully 85% of all positions filled, this means that closing the gender gap means changing the perceptions of your organization to female job candidates, first. No matter what you might think of employee review sites, it’s safe to assume that those employers with one star ratings (the average score on Glassdoor, for the record, is 3.8) probably don’t treat their employees all that well. We often discredit “disgruntled” employees and unsuccessful candidates for skewing down company ratings, but the fact is, those are also the ones who are the likeliest to rate and review your company online – and, in turn, that experience directly impacts gender diversity. The Candidate Experience for Women: Why Empathy Is Everything. There’s no simple solution for what’s essentially an endemic issue, but employers who need to fix their online reputation should first start by better understanding the impact of public perception on candidate personas. Or, put simply: know your audience. That’s because while attracting, hiring and retaining women remains a very real struggle, it’s nearly impossible without empathy. Once you understand what job candidates want, what their perceptions and expectations actually are, then you can actually start building better experiences that match their needs, habits and drivers. Empathy is everything. It’s not easy to walk in a job candidate’s shoes, especially if those shoes happen to be pumps. But it’s essential for communicating your employee value proposition, your mission, vision and values, and what your organization really stands for to the talent your organization really needs. From job advertisements, to recruiter outreach, from hiring manager interactions to employee advocacy, experience is the sum of many moving parts. 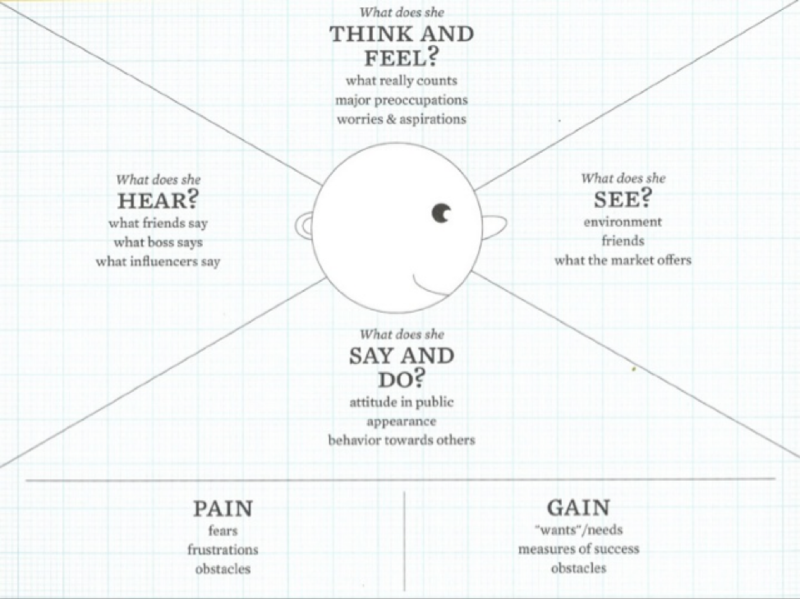 A great way to understand the impact and interplay of these various touch-points on candidate experience is an exercise borrowed from design thinking: empathy mapping. If your end destination is hiring targeted audiences, from women to visible minorities to recent graduates, then you must know how to get there, first. An empathy map is an indispensable tool on the journey to a great candidate experience – particularly when those candidates happen to be female. This is nothing new, of course; persona creation and development is a core component of brand marketing, particularly when speaking to a segmented audience. Empathy mapping, fortunately, is a fairly straightforward exercise – and one that can prove indispensable for candidate attraction and recruitment. Above, you will see a sample empathy map; put this on a whiteboard or screen and ask your teams to simply fill in each segment with different colored Post Its. To guide the design thinking process, ask your teams to spend a day in the life of a candidate and think about what it is that they go through as they go through their day, at work and in life. What is the first thing they check when they wake up in the morning? How often do they check WhatsApp or Facebook? How about email? How many texts do they send in a day? Which do they use the most? Which do they prefer? What blogs, podcasts or other online content do they consume during the average workday to stay informed? What type of online content do they prefer for entertainment? What matters to them most about their jobs? What gives them the most satisfaction? What motivates them to get through the day? What would they change about working at your company? What do they like best? How do they talk about your organization when talking to their friends and family? 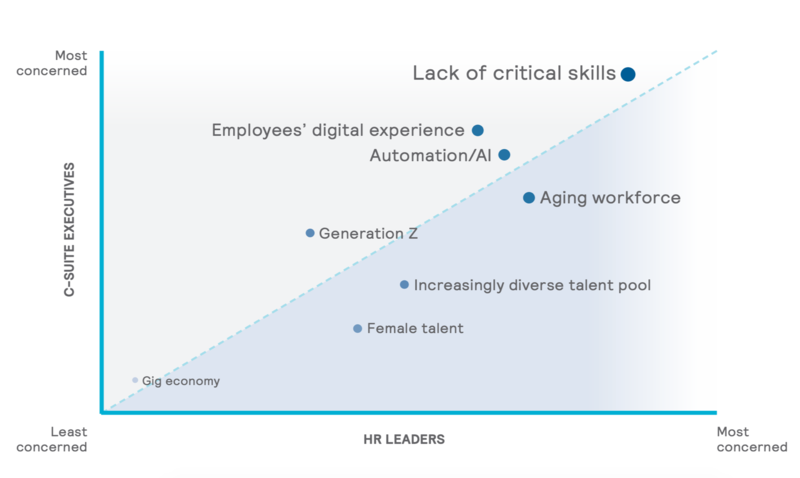 While this is largely speculative, this persona creation exercise – which can be used for any specific workforce segment or employee population, not just women – is effective not just in creating empathy, but in realising real recruitment results. By understanding what your audience cares about, you have a much better idea about how to reach that audience, whether it is in the way that job descriptions are written, or the most impactful imagery and insights for your company career site or employer branding initiatives. The thing is, once you ask not what you are looking for in a candidate, but what a candidate is looking for in your company, your perspective is not the only thing that will likely change for the better. Your candidate experience will, too. 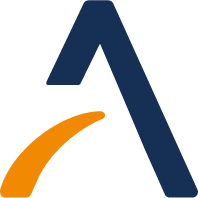 Martin Smith is currently the Talent Solutions Director, EMEA at Allegis Global Solutions. Combining global awareness and regional insight, Martin works with organisations throughout EMEA to evaluate their existing capability and explore new, efficient and innovative ways to build, deliver and evolve talent acquisition, resourcing and talent partnerships.